Here is a list of fellow businesses that we have partnered with over the years. When we opened our farm and kiosk initially, we met so many interesting and talented artist we valued and admired. Now that our store as opened, we have been able to expand what we offer. All the while introduce our community to the endless talent in our area. Please check out the beautiful one of a kind creations and designs that we have been honored to showcase. 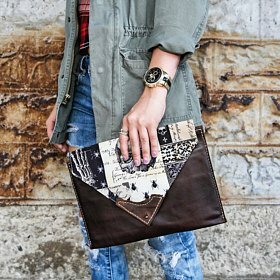 Two Belmont Sisters makes handbags, accessories, and unique soft goods. We always work in small batches paying close attention to the tiniest details and ensuring each item is of the utmost quality. By sourcing local eco-friendly materials and utilizing as much scrap as possible we are minimizing our carbon footprint while working toward a zero waste company. We are open to special orders. Choose your own color, size, and style. We will decide a price based on cost of materials and time. I was on a restricted diet, making it impossible to find ingredients that didn't have a lot of fillers. I love that I have created a line of products that almost everyone can enjoy. That is why I have made sure that my company offers ingredients that can reach as many people as possible. All of my dry rubs & sugar/spice mixes are non-GMO, made from organic & gluten-free. I have spent countless hours with my smoker, learning which woods to use & just how long to smoke things to impart the smoky flavor without being overpowering. I am expanding the product line & experimenting constantly. Fleur de B is a high end, boutique styled culinary & skin care line. Infusing honey, tea blends and spice seasonings. Our products are all natural and made with local ingredients whenever possible. Chef Christina has an amazing talent for blending flavors that impress even the pickiest of foodies.